Around after a week time , two way traffic has been restored along NH at Kalijhora since today. 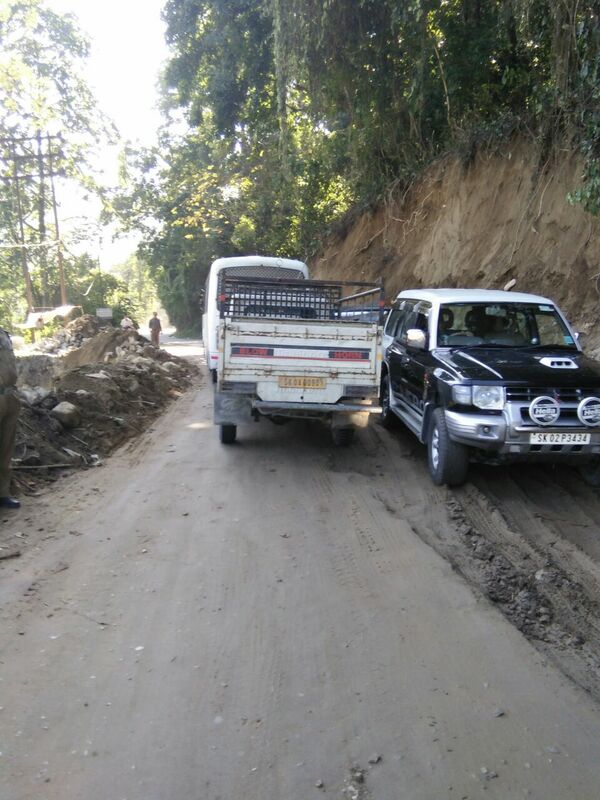 It is to be noted here that on 12th October a major portion of the road was caved in after which the road was open for a single lane traffic which in turn caused a massive traffic jam in both Kalijhora and Bhuichaley where road has been sinking on a daily basis. The PWD NH div which has been working at the NH from this monsoon have cut the back side drain wall and opened the normal traffic from today. 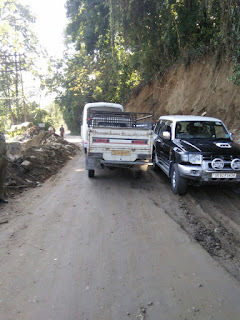 The road is about 6 m now where both side traffic can move informed Uttam Pradhan Executive Engineer of the PWD NH Div. Meanwhile Bhuichaley where from 20th September landslide and road sinking have been a cause of massive to massive traffic jam there too restoration work is going on in large scale . Pradhan informed that a sausage wall construction is going on. About 10 m of the main NH road at Bhuichaley has already sink in a month time. Pradhan said wire netting wall is going on which will help the surface to become high , in a day or two the normal traffic at Bhuichaley is expected informed Pradhan. 0 Respones to "Two way traffic movement restored at Kalijhoda"